Well, it has come at last, My rejection and eviction from voting in Labour Leadership contest and from being member of Labour Party. 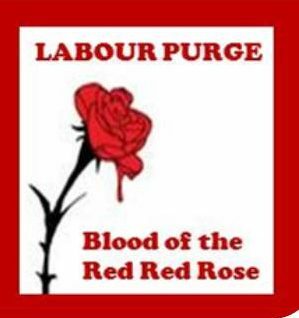 There are a lot of us, and some of the best being purged by Mr Tinpot PipSqueak Mr Iain Mcnicol. Should I bow and grovel and stand cap in hand shuffling my feet humbled and humiliated in front of the board, happy to be accepted again and return to my humble serfdom position? NO! That is not what my mother and father, grandparents and forebears fought for. It is the very actions of the Labour Party at this time that all working class people and all people of any decency fought and worked hard against. NO SURRENDER! and my grandparents were both Northern Ireland Protestant and Northern Ireland Catholic. So you have got both to contend with in me and I would rather come with a Shillelagh and a proud look on my face, than my cap in hand. I am not one to beg or made to bow down and be thankful. Proud working class, You know, you remember, the ones who made this country and created the Labour Party. All the best to ya. Lets Gather. Lets gather the clans of the dispossessed, the rejected and the people who are purged. Getting rid of the best and keeping the worse. Those who would sell out their own, abuse others and withdraw the right to vote and basic British sense of fairness and fairplay values from all. I would also like to create a pin and memorablia. Purged Pin. Suggestions and creative art please. Going to Liverpool, booked to be at Momentum gig and staying in hostels.